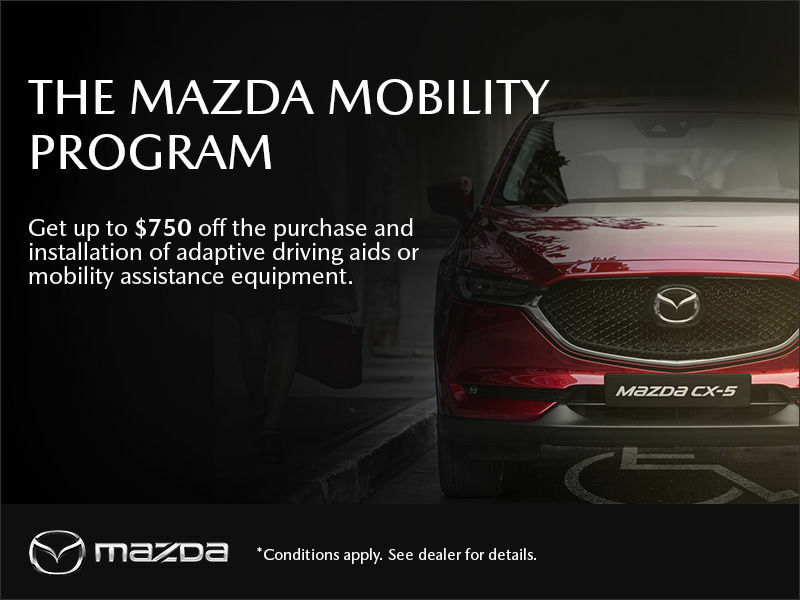 We are proud to support the mobility needs of drivers and passenger with physical disabilities with our Mazda Mobility Program. With this program, we offer assistance in adapting your Mazda vehicle to fit your needs. All eligible customers receive up to $750 (including GST) towards the purchase and installation of adaptive driving aids or mobility assistance equipment (wheelchair or other lift equipment, hand or other driving controls). The program works with any new or Certified Pre-Owned vehicle, including MCI company vehicles and Dealer demonstrators. For more information about eligibility and other program details contact or visit us, we are happy to help. *Conditions apply. See dealer for details. I wish to receive recalls, news and promotional emails from Beauport Mazda.